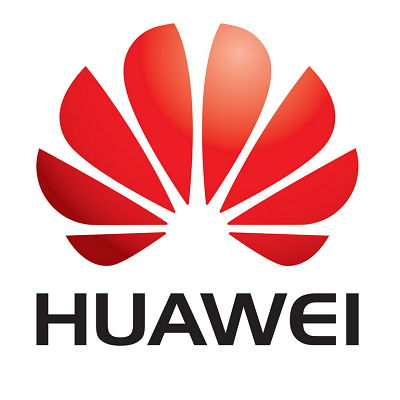 Huawei recently shared plans to release a dual-OS Android/Windows device in the US come Q2 of this year. Now, the company has publically stepped back from those words. It didn't provide an explanation, but it did emphasize its "open approach" towards mobile operating systems and a desire to provide "a range of choices for consumers." Most of the Huawei's handsets will continue to run Android, and while Windows Phone still isn't off the table completely, the two platforms won't play along anytime soon. There comes a point in a person's life when he or she may be looking for a new device of some sort, and trying to fulfill multiple roles at once could be important. For example, a tablet/laptop hybrid may be sought after by someone who doesn't have the disposable income to justify having one of each. These types of devices – like recently-announced ASUS Transformer Book Duet – are, in my opinion, a great option in that situation. Dual OS devices featuring Windows 8 and Android are nothing new (if anything, they're becoming more and more common), and Samsung decided it was time to throw its name into the we can do two things at once arena with the just-announce Ativ Q. At its core, the Ativ Q is a 13.3-inch laptop/tablet hybrid, but the real allure here is its insane 275PPI display that runs at a massive 3200x1800 resolution. Hey, you got your Jellybean in my Windows 8! No, you got your Windows 8 in my Jellybean! The ASUS Transformer AiO probably isn't as tasty as Reese's Peanut Butter Cups, but it will have a slimming effect... On your wallet. 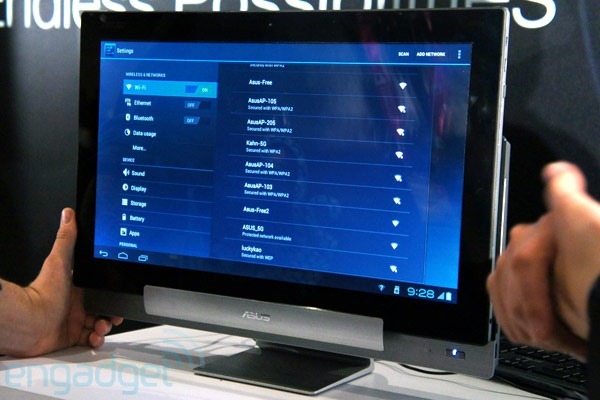 You may remember this odd tablet-meets-PC from our previous coverage. 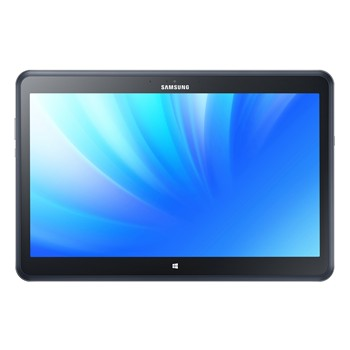 In short, it's an 18.4" Android tablet that also plugs into a base unit running Windows 8. The screen can be toggled between the Android and Windows 8 modes when docked, and it includes SplashTop Remote Desktop for connecting to the base unit while roaming freely. Last week, ASUS released a couple of videos teasing its announcements for Computex 2012. Given the contents of the videos, our first guess was that the company would be announcing a dual-boot Windows 8/Android tablet. And we were right... kind of. 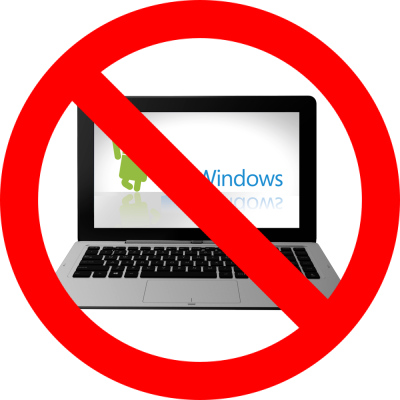 It is a dual OS device - but it's not exactly dual-boot, nor is it exactly a tablet. 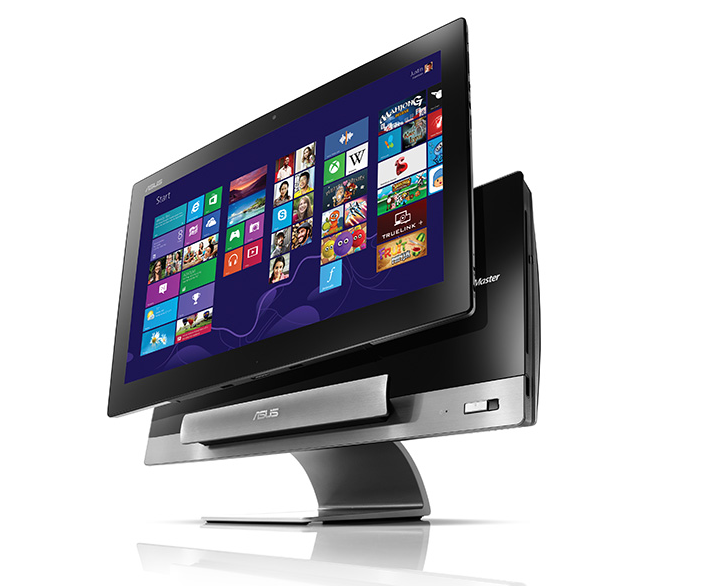 It's an all-in-one 18.4" desktop that can seamlessly transition between Windows 8 and Android 4.0.